Home Basketball Lanzo Ball Popular Person Sport Lonzo Ball, the youngest triple-double player. Watch it! Watch how Lonzo Ball make a new history as the youngest triple-double basketball player. 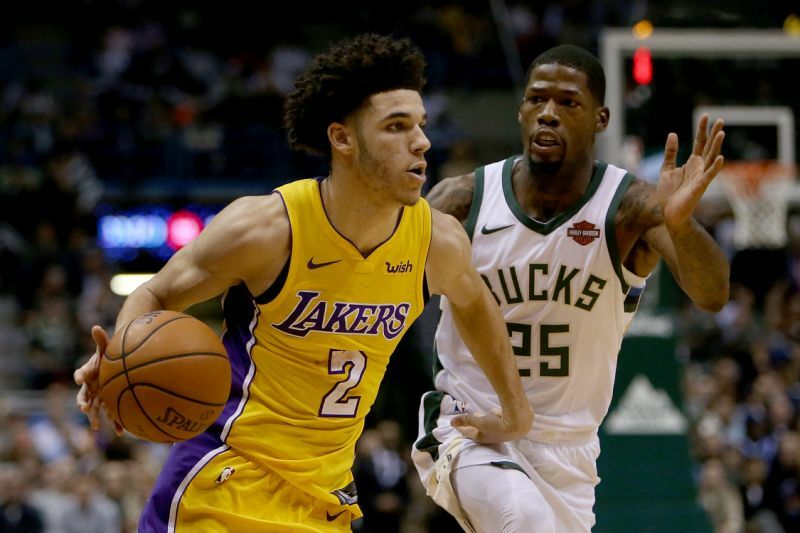 Lonzo Ball, one of the American basketball player for the Los Angeles Lakers of the NBA has noted a new history. This man, which was born in October 27, 1997 has showed his best performance. Los Angeles Lakers point guard and rookie Lonzo Ball gets his 1st career triple double, with 19 points, 11 rebounds, and 13 assists. He becomes the youngest player in NBA history (20 years, 15 days) to get a triple-double. With this record, it means he beat Lebron James which finished with 19 points, 11 rebounds and four assists in Saturday's game at Dallas.